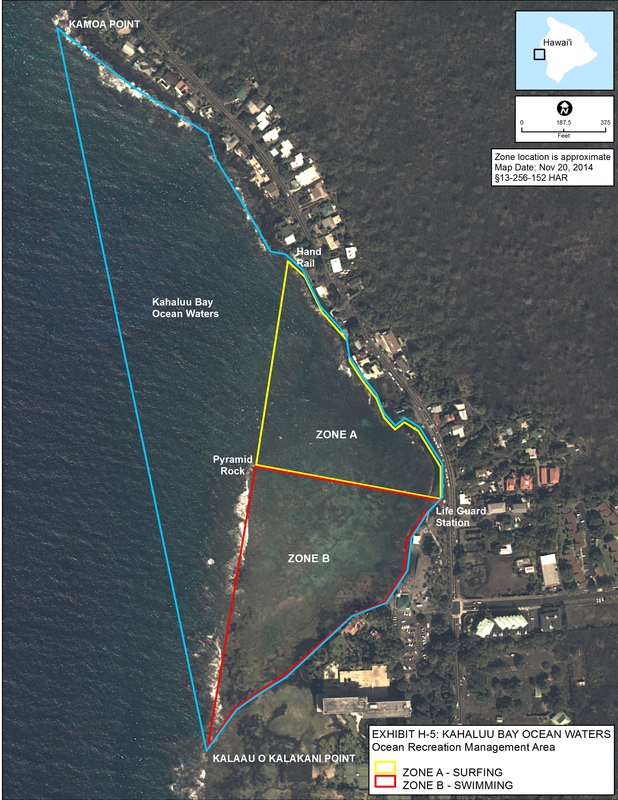 Kailua-Kona – Heavy usage of Hawaii Island’s Kahaluu Bay is prompting the DLNR Division of Boating and Ocean Recreation (DOBOR) to propose rule changes for specific ocean recreation activities in the bay. Proposed amendments to HAR § 13-256-152 include regulation of certification requirements for commercial surf instructors and to limit commercial surf instruction to four (4) permittees with a maximum of eight (8) students in the water at any one time per permittee. People have a chance to provide feedback and comment on the proposed amendments at a public hearing scheduled for April 29, 2015 from 6:00 p.m. – 8:00 p.m. at the Kealakehe High School Cafeteria at 74-5000 Puohulihuli Street, in Kailua-Kona. For a copy of the proposed amendment and more information about providing testimony regarding the proposed amendment please visit: http://dlnr.hawaii.gov/dobor/draft-rules/.